Headquartered in the centre of Nottingham, the Nottingham Building Society (known as The Nottingham) – a member of the Building Societies Association, the Council of Mortgage Lenders and the Financial Ombudsman Service – is an independent mutual building society that was founded in 1849 by a group led by a Quaker and prominent local grocer, Samuel Fox. This community focussed organisation, which lists Nottingham Property Services, Nottingham Estate Agency, Harrison Murray Estate Agency and Nottingham Mortgage Services amongst its subsidiaries, provides mortgages, savings, estate agency, home insurance and financial planning products and services to their customers online and across its extensive customer-facing retail branch network. It has more than 670 employees, with 300+ customer-facing staff located in 60 branches spread across central England, from Sheffield in the north, Harpenden in the south, Wisbech in the east and Burton-on-Trent in the west. 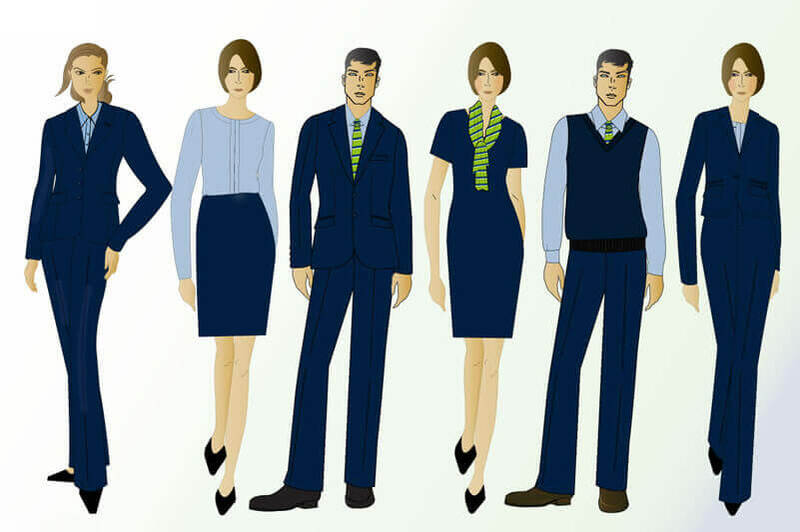 Each of its retail branch staff had been provided with a uniform for a number of years, however the time was right to refresh it and replace it with a new one, the provision of which was put out to tender with some of the UK’s leading corporate clothing, staff uniform and business work wear suppliers including ourselves. Be visually refreshed and invigorated whilst remaining true to and consistent with their brand identity and values. 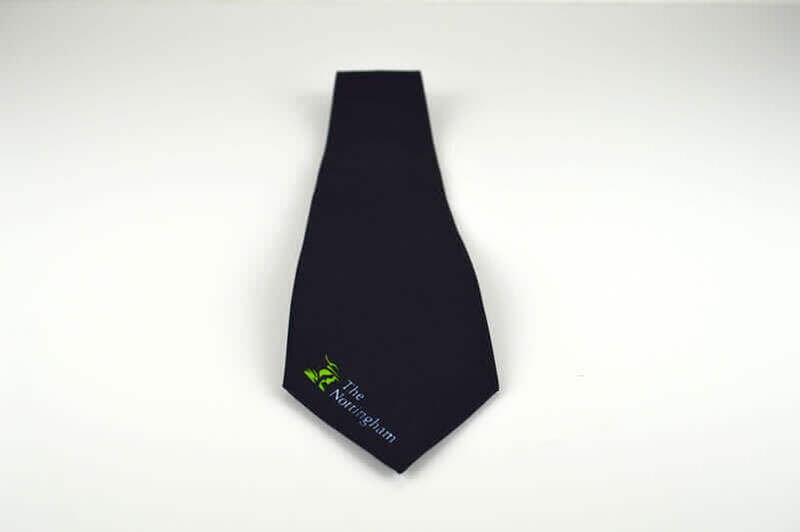 Sized to fit each member of staff comfortably. Made up of individual garments that are easy to care for and maintain. Manufactured using fabrics and materials that are smart, comfortable, wearable and fit for purpose. Distributed in complete sets directly to the individual staff at each branch in the network. Have stock that is easily accessible and available to meet the on-going needs and demands of the organisation over the contacted supply period. It was also crucial that we embraced the need for stakeholder engagement throughout the design, information gathering, feedback garnering and distribution processes, making communication absolutely a key component in this challenge for us. In order to provide a bespoke uniform solution that offered good value, and would meet the on-going needs and demands for readily available stock over the contacted supply period, we based our submission around a combination of quality garments that could be sourced from our key stock supported brand partners as well as co-ordinating bespoke offshore manufactured accessories. 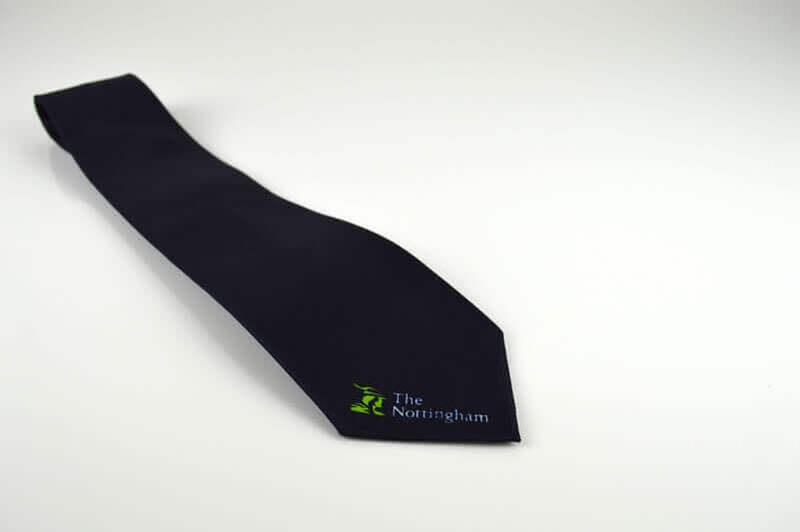 This combination of garments included tax tabbed suits, waistcoats, cardigans, shirts and blouses, together with ties and scarves, custom designed by our in-house designers, that would deliver a refreshed, modern corporate uniform, consistent with Nottingham Building Society’s brand identity and key corporate colours. To support our suggestion of using garments stocked by more than one UK manufacturer and distributor, we co-ordinated the selection and sourcing in order to present, ensuring that the final chosen collection of garments would work as a complete uniform alongside the designs and samples for the bespoke manufactured items. Working together with the Nottingham Building Society’s Branch Support Team we supplied garment samples and product images to assist in communicating the new uniform ideas to a number of key stakeholders including crucially, the retail branch staff. 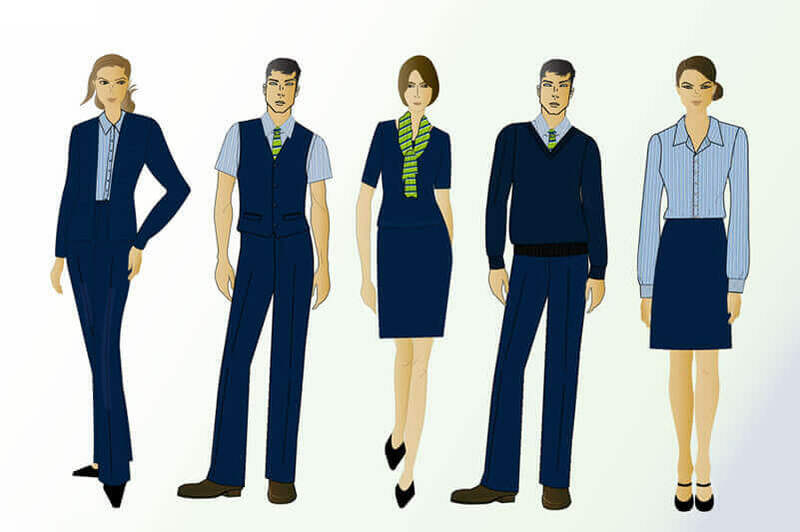 Once we had gained valuable critical and constructive feedback from the branch staff via the Branch Support Team and the final new staff uniform was agreed upon, we supplied sizing information pack illustrations and ‘how to’ guides to all branch locations, to ensure that the correct sizing information was gathered from each individual, prior to the final order placement. 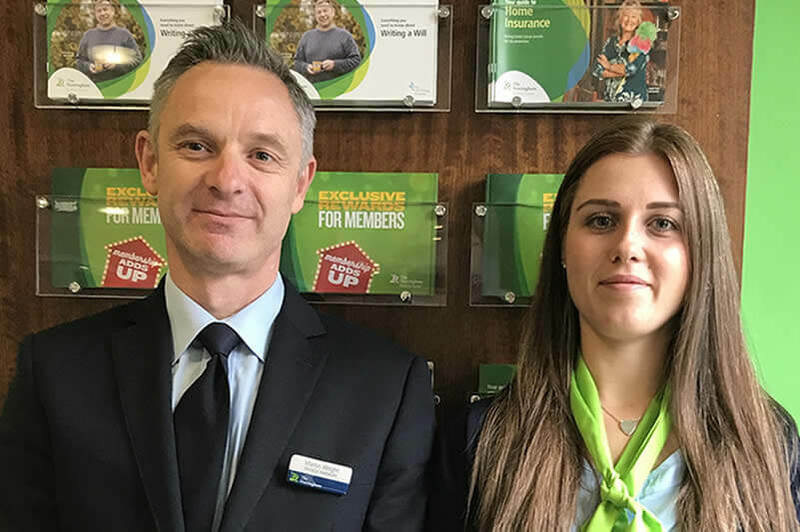 Following the successful distribution and roll-out of 300+ complete individual packs of new staff uniform to 60 branches across central England within a one week period we are delighted to say that we’ve received excellent stakeholder and wearer feedback with positive engagement from all parties. We will continue to supply new and replacement uniforms and individual garments to new and existing branch staff as required from our Manchester warehousing and distribution facility, with a response time from order to delivery of 5-7 workings days. If you would like to be added to our mailing list to be kept informed of our latest news and offers then please tick this box. Otherwise, we will only contact you regarding your enquiry. To get all the latest information on ranges and offers sign up for our newsletter today. I am happy for Corprotex to email me about their latest information and offers. © 2018 Corprotex Apparel Limited. Company No. 02923341 (England & Wales).